If it weren’t for the sign that reads SANDY LIANG IS DOWNSTAIRS (repeated 13 times), the designer’s basement studio on an unassuming Lower East Side block would be easy to miss. But inside, the bright white space, lined with mirrors and colossal vases among the racks of clothing, could be the atelier of any high-fashion brand. It’s yet another impressive feat for her label (sandyliang.info), which boasts retailers like Moda Operandi, Kirna Zabête and Saks Fifth Avenue just eight seasons in and with only three employees—including Liang herself. “I think we’re just scrappy, that’s why it is,” she says. The Queens native (who returns home to Flushing for dinner on weekends) finds inspiration in the relaxed, unstudied way people dress on the LES­—everyone from Chinese grandmothers on their way to pick up kids from school to the café crowds. 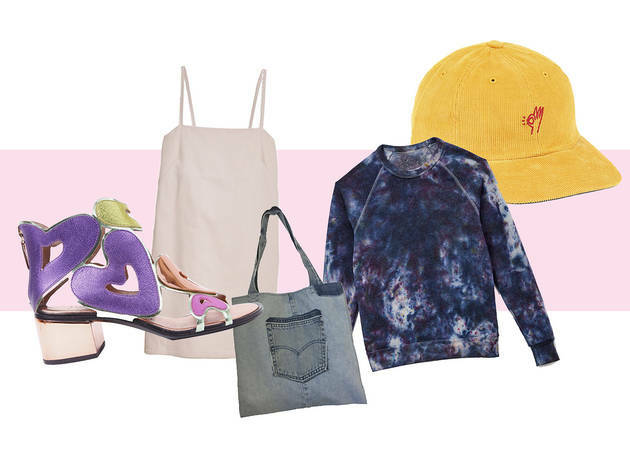 “I feel like there is a fashion scene; we see it on blogs or magazines or whatever. I don’t feel like I’m a part of that scene at all,” says Liang, who didn’t see any other shows during the most recent Fashion Week. “I don’t really buy into it, because I feel like I don’t want to be so involved. 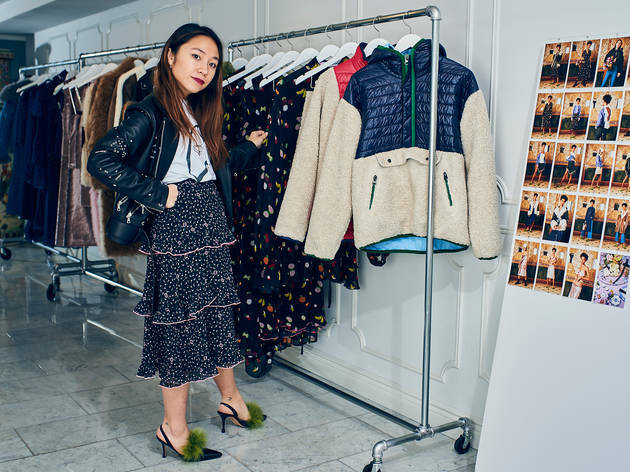 I want to keep my collection very pure and just me.” And, if you cross Liang’s path in her ’hood and catch her eye, maybe a bit of you, too. This designer has a lot on his plate. When we meet him in a downtown café during Fashion Week, he’s running between meetings on the Bowery as he works on the fall/winter 2017 collection of his label, Barragán (barragannnn.com). Before that, he was in Tokyo, where he collaborated with jewelry designer Chris Habana. And a few days later, he jets to Paris for a showroom presentation, which includes a shoe project with Belgian designer Mats Rombaut. Whew. It’s not surprising, then, that one of last season’s breakout stars decided to take a break from NYFW when MADE, the fashion incubator with which he showed last year, announced it would sit out the season. Victor Barragán has been on a steady ascent since arriving in New York two years ago. “When I moved, it was the first time that I was here,” says Barragán, who lives and works in Bed-Stuy. “It was really like a flip of a coin: People are going to like it, or people are not going to like it.” They dug it. 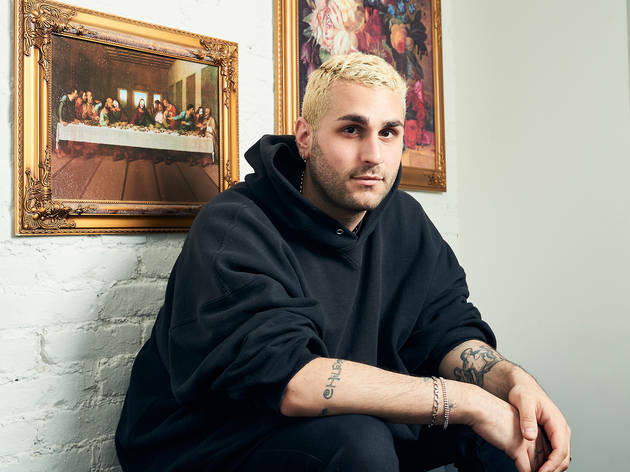 The way the 25-year-old Mexico City native became involved in MADE says a lot about the business today: Ruth Gruca, the platform’s global fashion director, sent him a DM on Instagram. 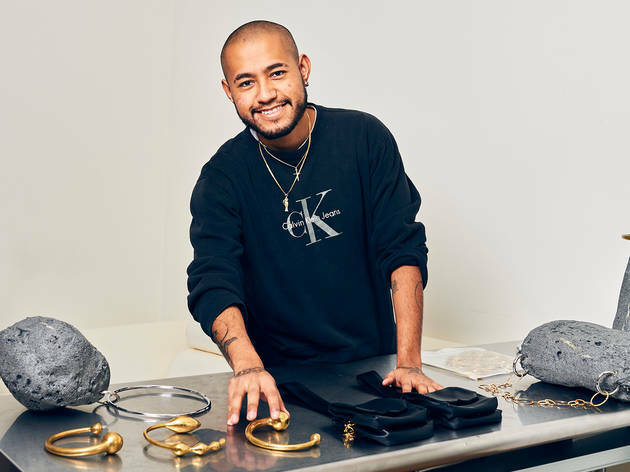 Social media—Instagram in particular—is an important tool for Barragán, who uses it to find collaborators, like the miniature artist who goes by the handle @microcosmbytengteng, and to cast his shows, resulting in a prism of skin tones, gender identities and body types that’s dramatically more diverse than the average runway show. Have you Noticed that more and more New Yorkers are ditching traditional, constricting charcoal suits? You can partially thank Abdul Abasi, 36, and Greg Rosborough, 33, for that. The designer duo and former Fashion Institute of Technology classmates have been revolutionizing menswear since they launched their first collection in 2013 and started spreading this unofficial mantra: Wearing a tailored suit jacket can be just as cool as a leather one. 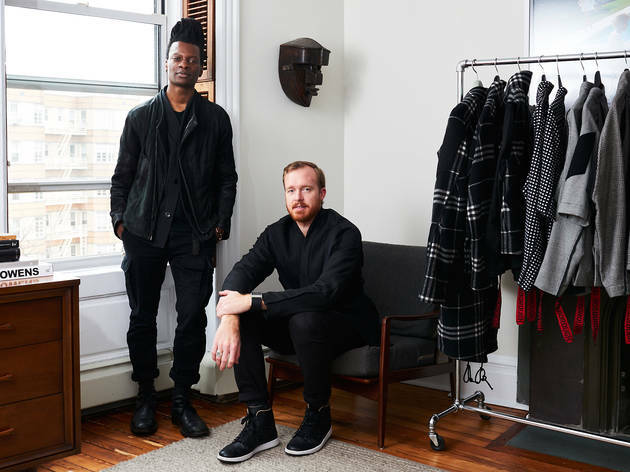 By fusing military-sport style with business casual—as well as their last names—Abasi Rosborough (abasirosborough.com) was born. An innovative idea about the continuum of tailoring prompted the twosome to join forces in the first place. During a flight to France, Rosborough witnessed a flight attendant (rocking a nicely fitted suit) take off his jacket in order to help an elderly woman put a bag in an overhead compartment. “I thought, ‘How the hell are we living in the 21st century but have not designed clothing that respects our body’s anatomy enough to allow us to raise our arms above our heads?’ ” says Rosborough. Since then, they’ve been on a mission to create garments that are functional without ever sacrificing style. “We think about clothing like skin. 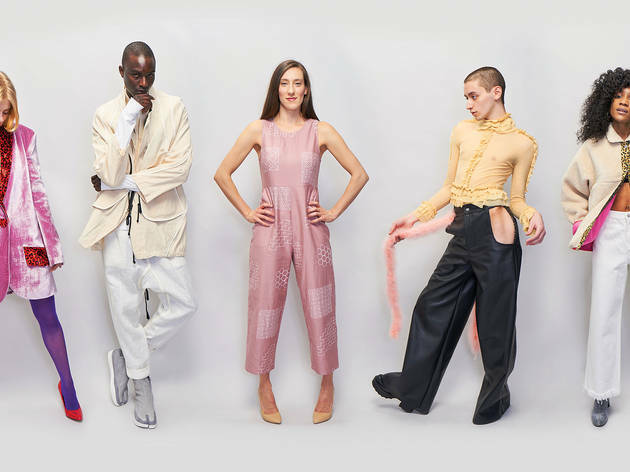 The brand is meant to exist on a plane that transcends gender, race and class and makes the wearer more empowered and equipped to deal with daily society,” says Abasi. Perhaps most fascinating, the brand uses current events to inspire projects. “With our upcoming fall collection, we designed the whole thing based on protest culture,” says Abasi. He adds, “I think the beauty of being a designer and an artist is we have a platform to say something. If you don’t use it, you’re wasting the opportunity.” Much like cable news, we’ll be watching closely. 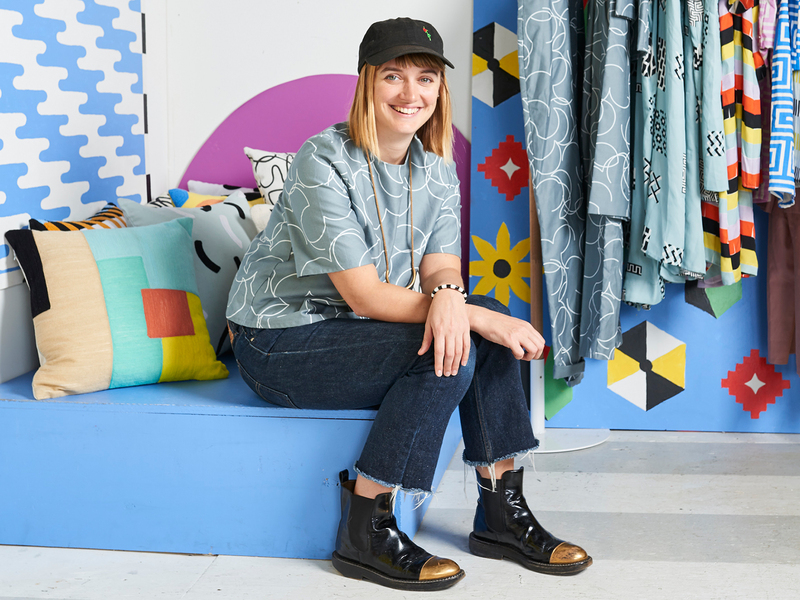 In a city synonymous with dressing in all black everything, designer Ellen Van Dusen is here to inject a little fun into wardrobes—and apartments, too. “Color’s my jam,” she says, and it’s easy to see that she means it: The whitewashed Williamsburg studio that’s home to line Dusen Dusen (dusendusen.com) is punctuated with vibrant hues, from a stack of peach and blue patterned floor pillows (the perfect perch for her dog, Snips) to the work-in-progress painted backdrops for an upcoming photo shoot tacked to the walls to, of course, the racks of clothing from recent seasons. Looking at her work, that’s meant colorfully printed pieces in cotton, silk and rayon, as well as, more recently, knits. Her fall/winter 2017 collection also takes a darker turn, with rich jewel tones in plums and mustards. The prints feature the same edge that Van Dusen picks up walking around the city, a blend of everything from the trash on the street she snaps with her cell phone to the gallery shows she frequents in Chelsea and on the Lower East Side. Looking for more spring fashion?